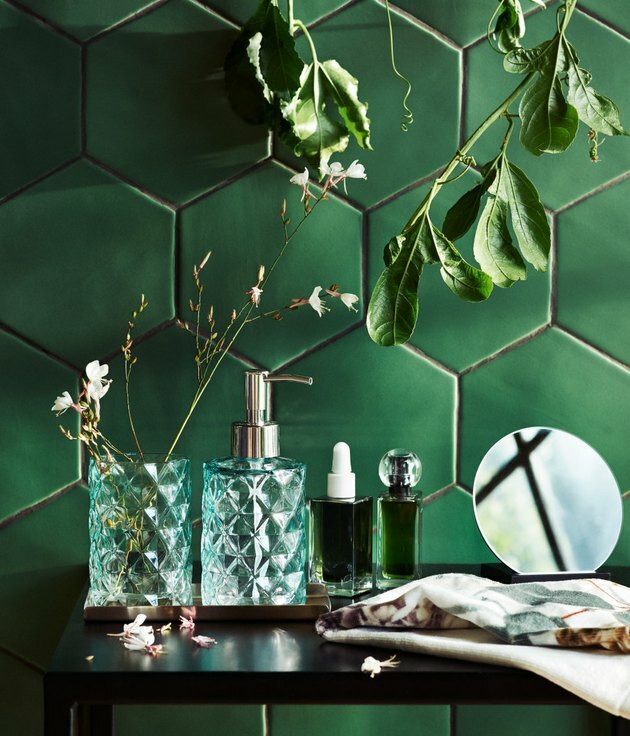 An alternative to glass, tinware goods are shatter-proof and give a bathroom a vintage-inspired touch. 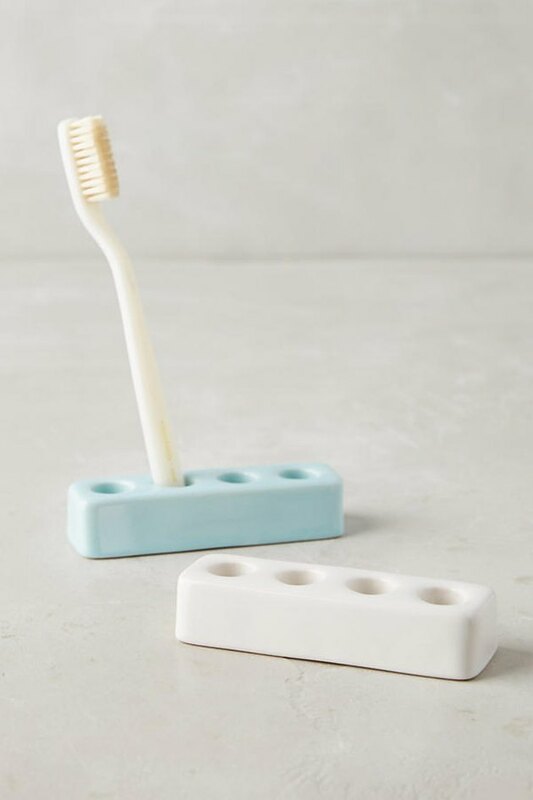 Keep toothbrushes clean and organized in these streamlined holders. 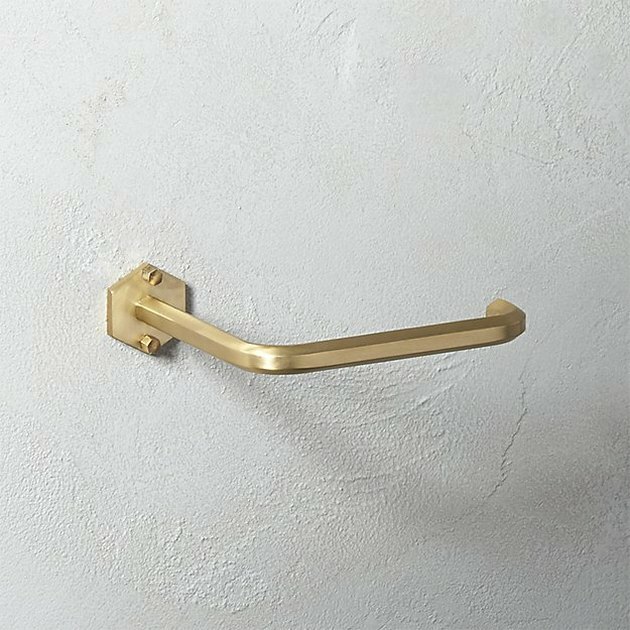 This wood-and-metal towel bar will be a welcome addition to any minimalist bathroom. 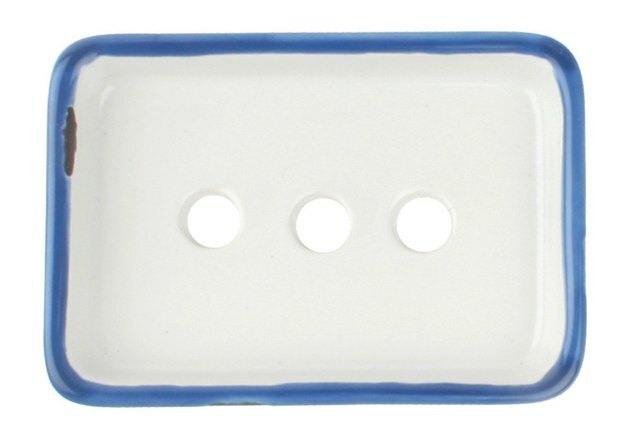 These hooks give a subtle upgrade to your shower area (and to be honest, your guests will think you're very put-together). You may know Brooklyn-based Dusen Dusen for its colorful patterned clothing. 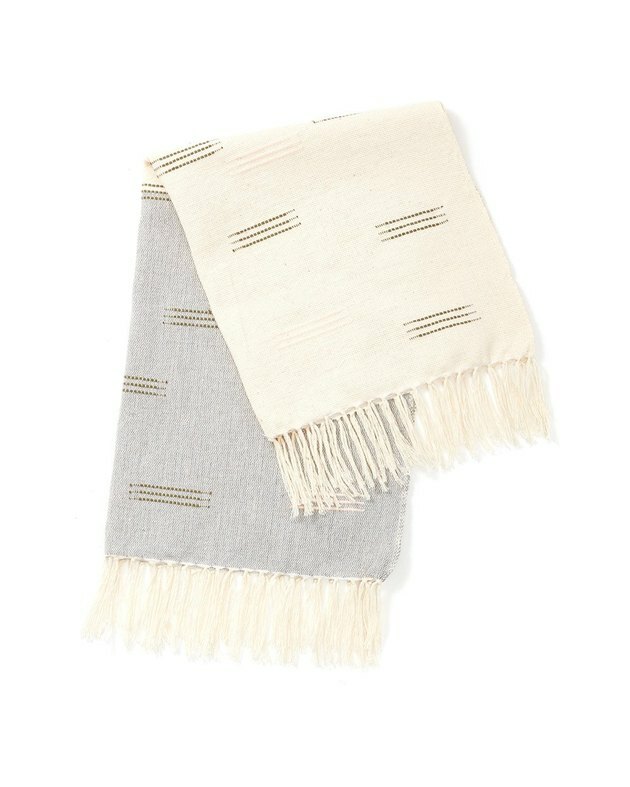 The brand has more recently dabbled in home goods, bringing their eclectic designs to towels and bedding. 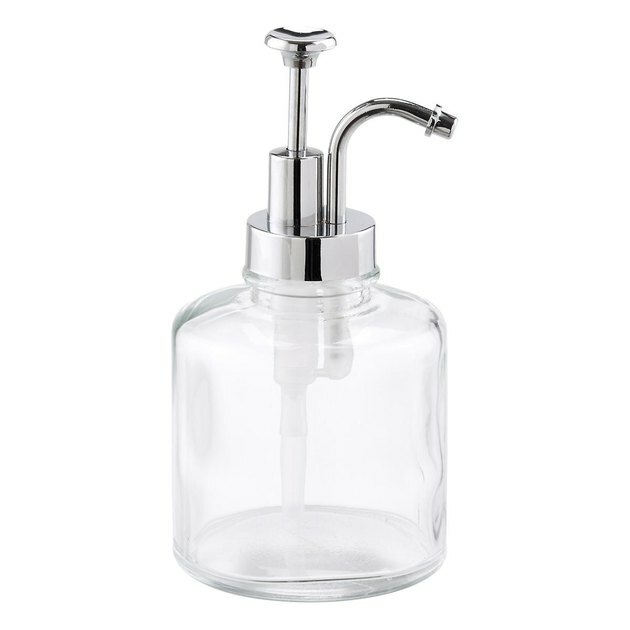 This glass soap dispenser recalls the elegant texture of a Chanel bag while incorporating an on-trend color. 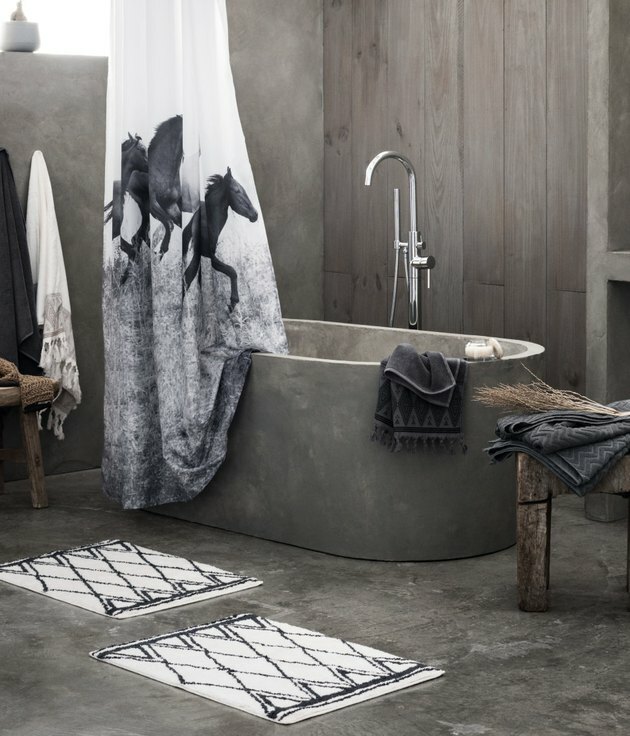 If you're doing a bathroom makeover, one thing to consider is storage. 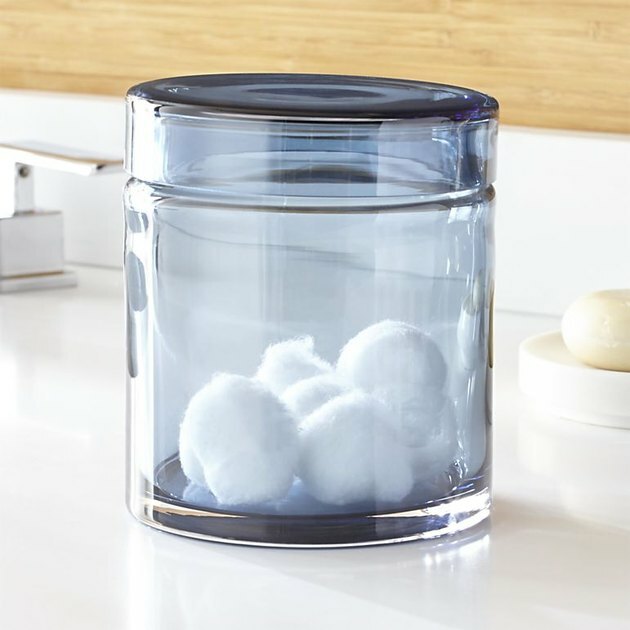 Go for glass containers that allow you to see their contents. 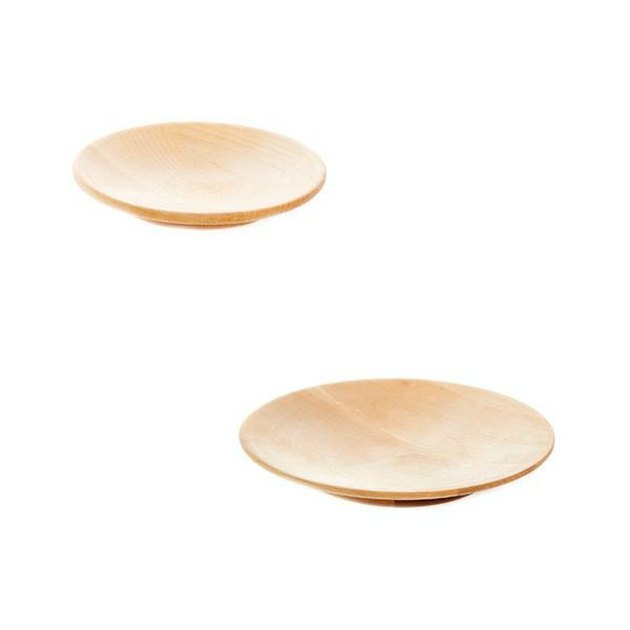 Handmade from oil-treated birch, these Swedish wood soap dishes bring a natural touch to your bathroom. 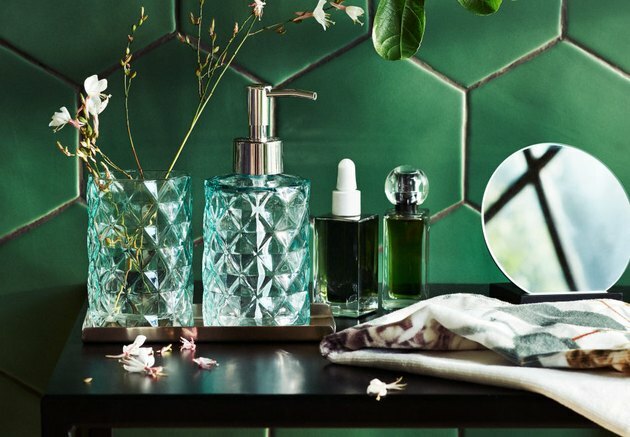 Inspired by old-timey soap pumps, this new version will make you reconsider traditional style. 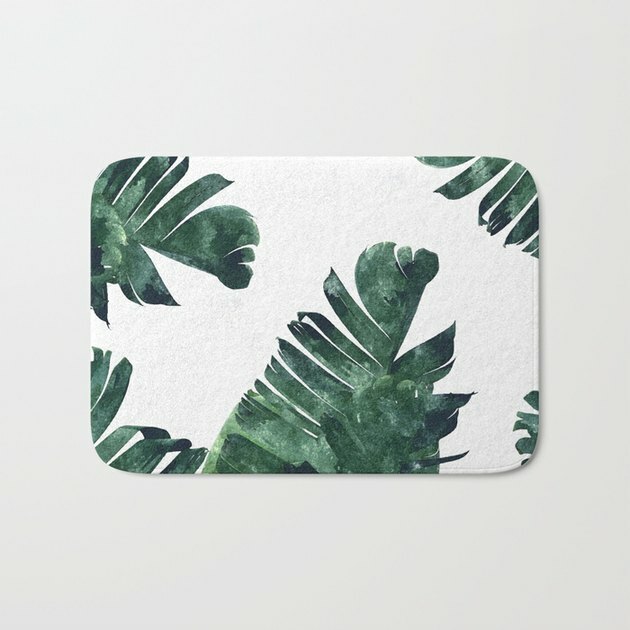 Step out of the tub in style with this banana leaf print bathmat, designed to give your space a taste of tropical whimsy. 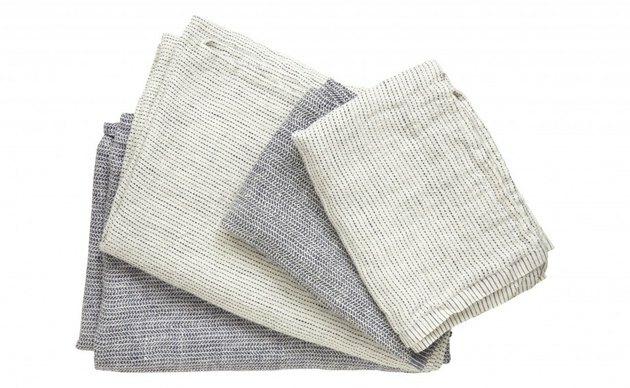 These natural linen hand towels are lightweight, luxe, and absorbent. 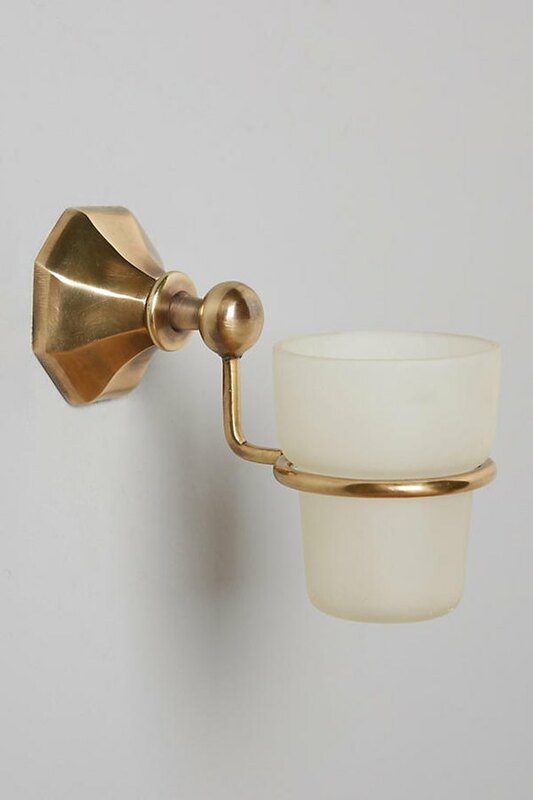 Save space by swapping your toilet paper stand for a wall-mounted version, like this brass offering from CB2. 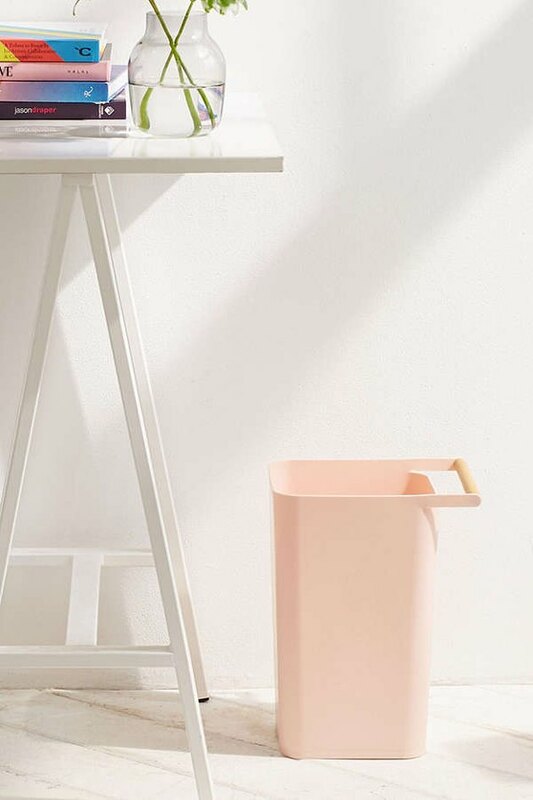 This waste basket keeps with a minimalist aesthetic, but brings in a pop of color. 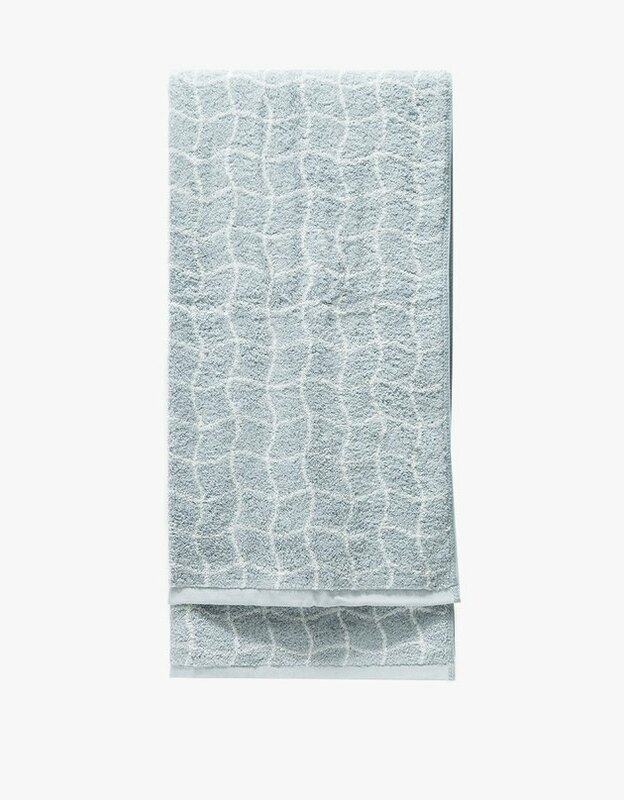 These jacquard weave bathmats look surprisingly luxe, and if we came upon them in your bathroom, we'd never guess they're from H&M. 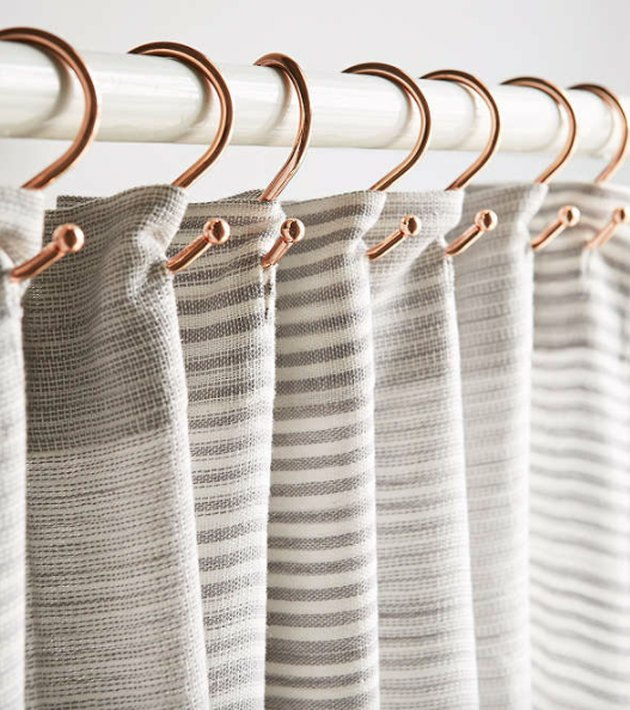 Try using tea towels instead of your ordinary hand towels — the look is clean and sophisticated. 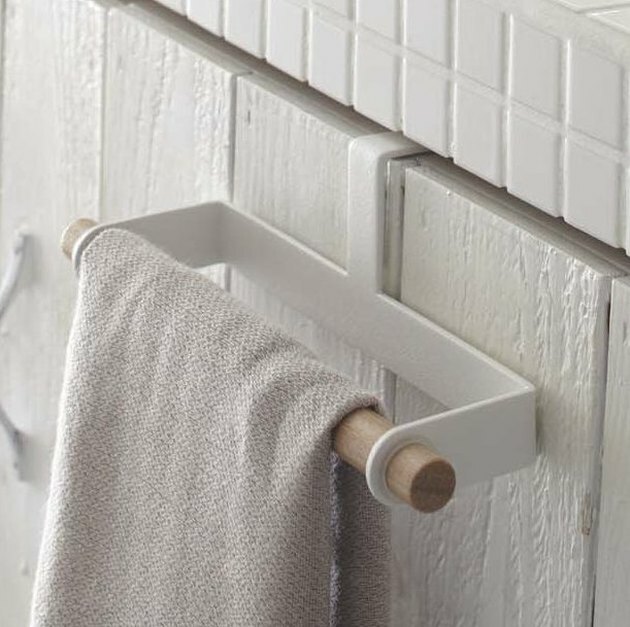 This multi-functional towel rack offers a range of possibilities — hang towels or clothes, store bath products, or use as an extra seat. 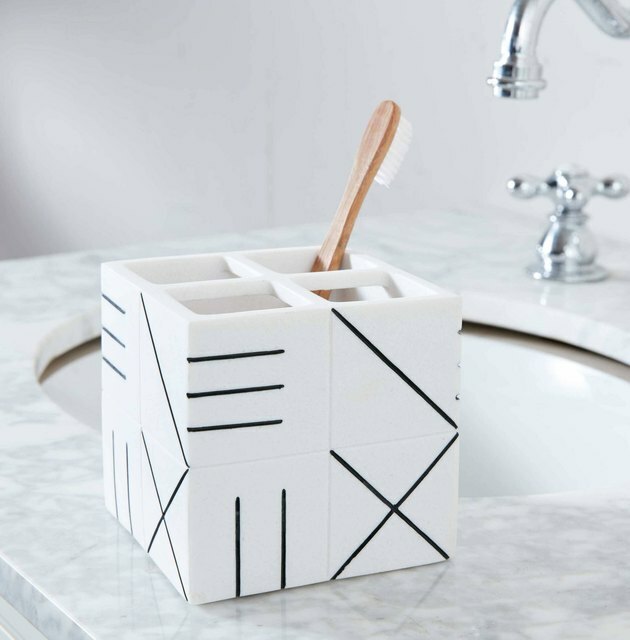 This catchall is great for roommate situations, with a separate section for every toothbrush. 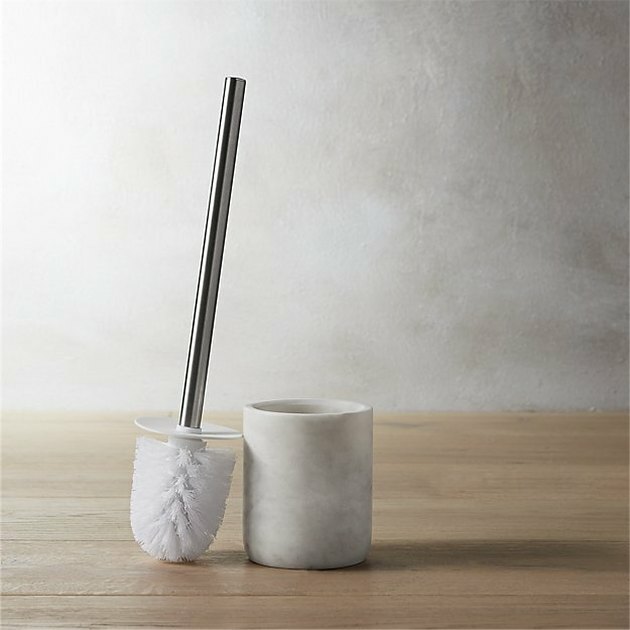 Do you need a marble toilet brush holder? Probably not. But it sure does look nice. 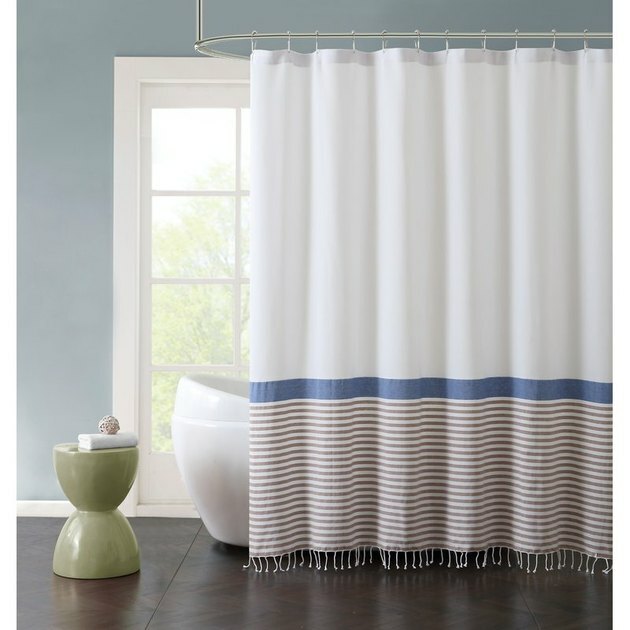 This striped shower curtain brings in a beachy vibe. 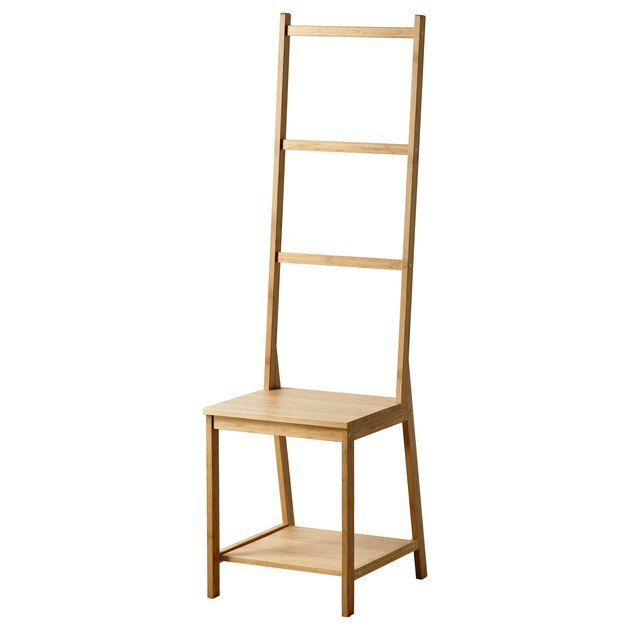 Small standing shower? 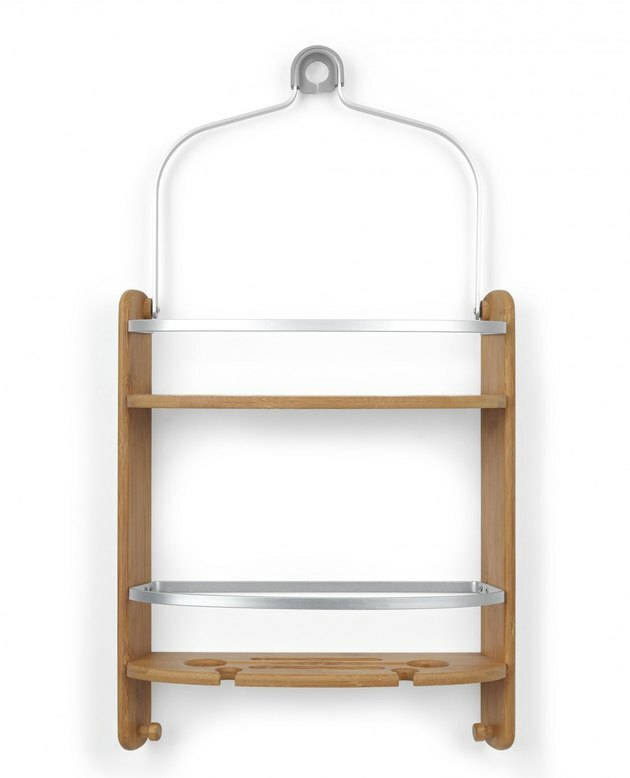 Add storage space with this bamboo caddy. If your counter space is limited, take it to the wall and install wall-mounted tumblers and soap dishes. When done right, they actually double as decor.